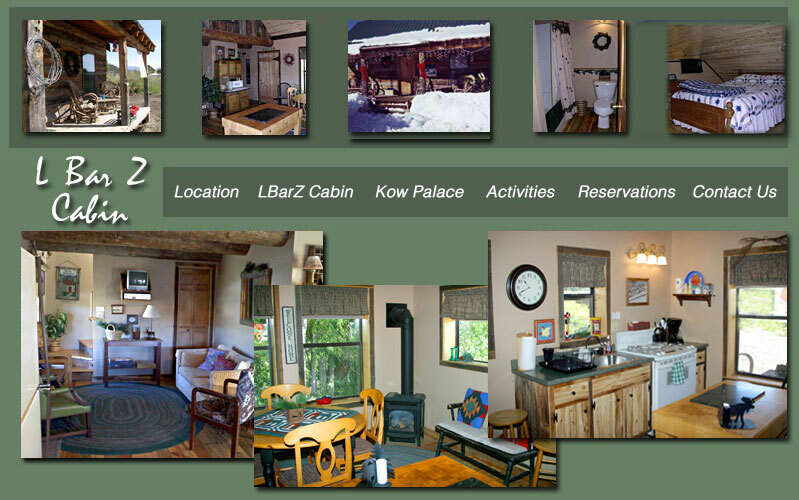 Our charming L Bar Z log cabin is newly remodeled and ready to accommodate visitors all year long. This comfortable cabin sleeps 4-6 and features a covered front porch for mountain viewing, loft with queen bed and 2 twin beds, large kitchen with modern appliances and gas fireplace, Cable T.V., cozy living room area with full size couch, and BBQ grill available. You are within walking distance to private fishing access along the San Juan River as well as minutes to golf, restaurants, downhill skiing, hunting, cross country skiing, National Forest trails for hiking and biking, snowmobile tours, Hot Springs, horseback riding, sleigh rides and chuckwagon dinners. Rate: $145/night. Pets allowed with permission. Call 970 946-0401 for off-season rates. Prices are subject to change without notice. 50% down payment required at time of reservation. Down payment is not refundable if we cannot re-book the cabin. Sorry...no smoking.